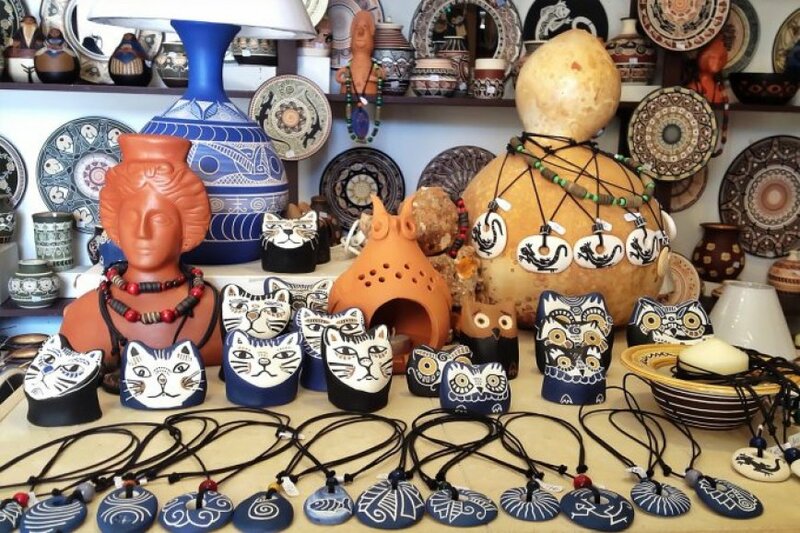 The village of San Rafael, in the center of Ibiza island, cherishes a treasure: the talent for handicraft. True works of art are created here, fruits of a know-how and labour transmitted from generation to generation. 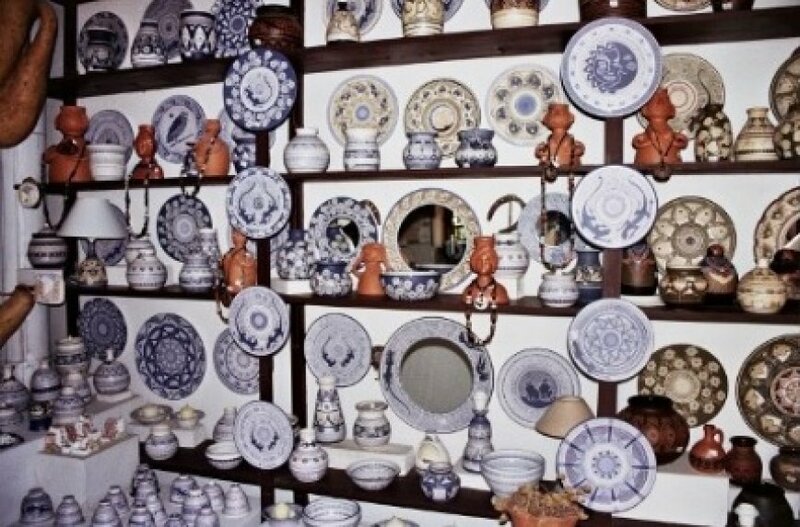 Since 1990 the small town is awarded with the mention of Handicraft Center by the Balearic Islands Traditional Crafts Commission. 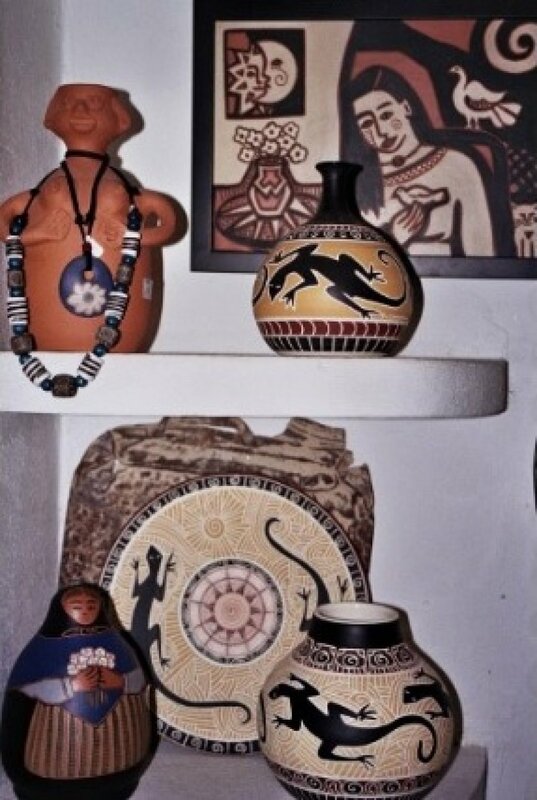 On the main street you will find two traditional pottery workshops: dishes, vases, lamps, masks and typical figures that could represent original presents for your beloved ones. Another local handmade item are the Ibizan espadrilles, shoes used since the ancient times in the Ball pagès. The typical “Espardenyes” are manually braided at only few kilometers from San Rafael. 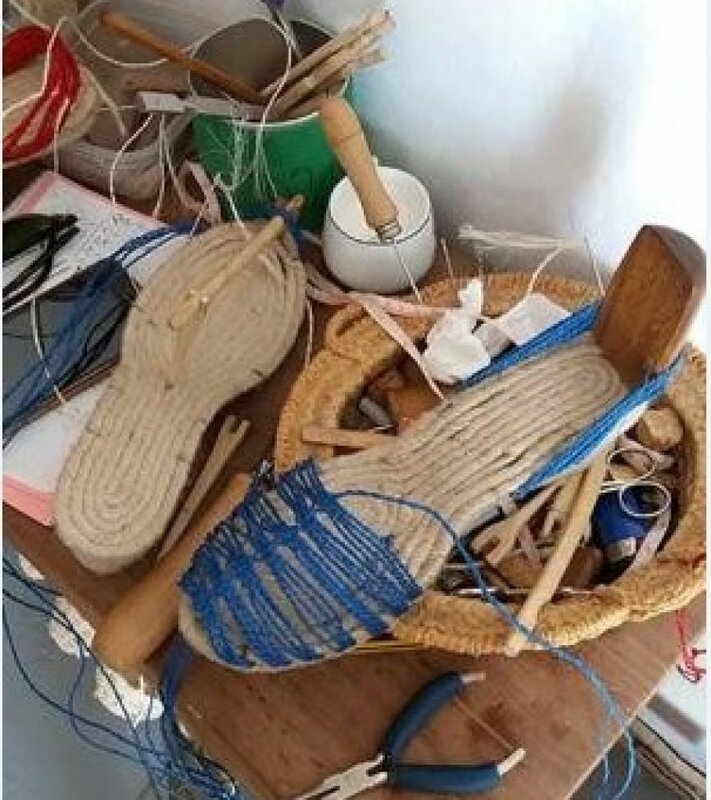 Patry & Isabel, craftswomen, create the typical Ibiza espadrilles. 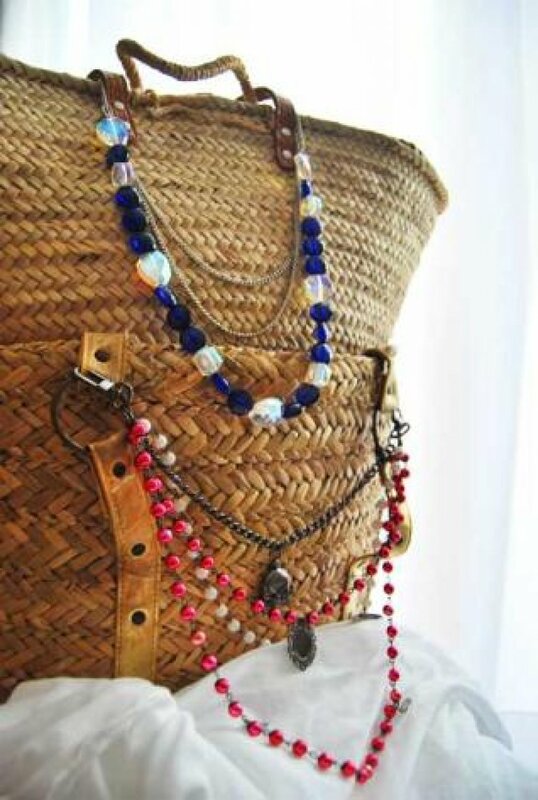 In summer, San Rafael hosts every Thursday evening, a colorful and eye-catching handicrafts market with agricultural products and traditional pottery of the island. 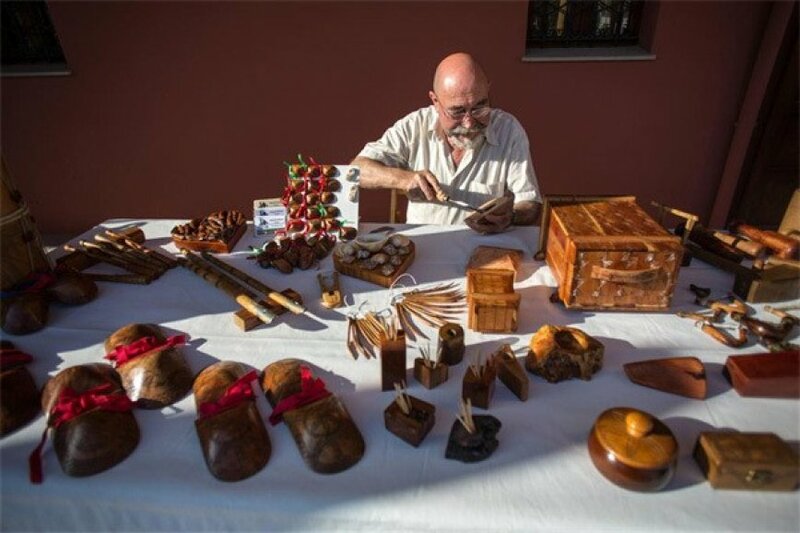 One of the most interesting particularities is that during the exhibition you can see various Ibiza craftspeople working, the best way to discover the traditional professions. Moreover, the little market is animated by live performances and events: musicians and Baile Payés, the traditional dance of Ibiza. 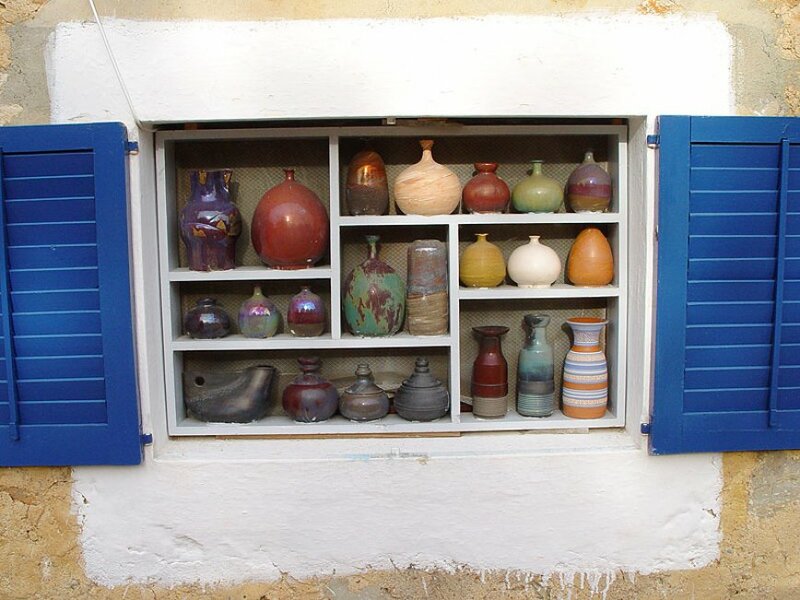 The Ibiza craft is an aspect of the island that you will certainly appreciate. For further information about the traditions of Ibiza and advice on how to visit the White Island differently, our team is at your service.